My client is looking for highly motivated and dedicated teachers who share their values, and would like to be a part of a developing school. Cambodia is a special place and once you’ve been there one time, it will remain in your heart and memory forever. Of course there are perhaps hundreds more reasons to be in Cambodia. There are the stunning and awe-inspiring temples of Angkor. There’s the beautiful vast and surprisingly clean countryside. There are the sprawling picturesque beaches on Cambodia’s southern coast, Sihanookville and then of course there’s the hustle and bustle of Phnom Penh’s nightlife. 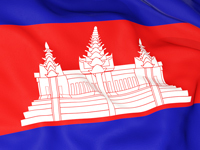 But despite everything that Cambodia has to offer, you’ll always be reminded how hospitable Cambodians are and if you’re in a smaller town or village even, you’ll surely become the local celebrity. People will call you ‘teacher’ wherever you go and you’ll likely be wined and dined and shown a good time. So bearing all of this in mind, how does one go about getting a teaching job in Southeast Asia’s hidden gem? Teaching salaries more than allow you to explore the many attractions of Phnom Penh, travel to the ancient temples at Angkor Wat, or enjoy a relaxing weekend at a seaside escape such as Sihanoukville or Kep.